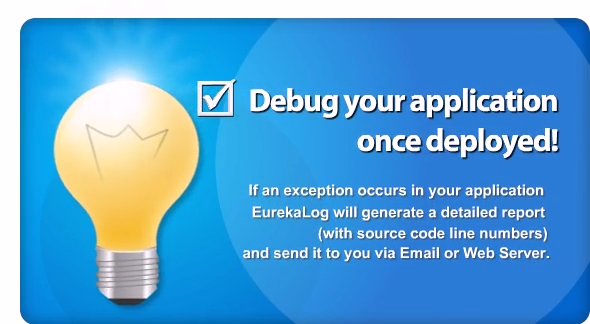 EurekaLog helps you find bugs, but also manage them by integrating with bug management tools. 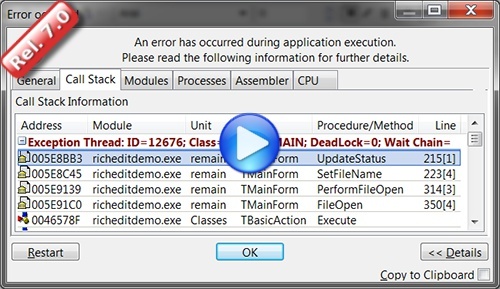 Whether you're using Win32, or Win64, EurekaLog will be there to help you debugging when you need it most. I was impressed with the overall quality of EurekaLog. No more unhandled nasty exceptions for me!